Hazardous liquids require special precautions in storage, handling, and use to minimize the fire risk. A facility safety manager will be looking for ways to try to protect personnel, limit damage, minimize downtime, save assets, remain in compliance with local, state and federal laws, and to protect the environment. Today, fire professionals specify protection that is effective, but also meets requirements for space and weight, quality, cost, and low maintenance. 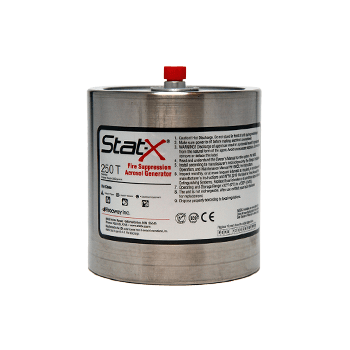 The Stat-X® fire suppression systems total flooding systems is the best solution for the demanding laboratory environments.